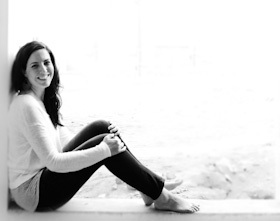 Ready to Wrestle Your Life Back from Facebook? Here are 7 Easy Steps to Do Just That. Facebook has gotten the better of me this week. It wasn’t just one thing, but rather a sparking of gas-soaked coals that were ready and waiting. The past few weeks have been peppered with individual conversations with a handful of friends who, like me, are wrestling with the role Facebook has in our life. The shared sentiment seems to be that we suspect Facebook is taking more of its share of the daily time-pie; is causing us to feel scattered relationally, mentally and emotionally; and is doing so while adding relatively little value to our lives. However, each of us has a specific reason why we’re on there, and it’s a reason that, for the time being, keeps us tethered. The problem is that being thus tethered, we have a hard time staying focused when we get on, and wind up scattered and frustrated when we suddenly snap to as our thumbs tire from a long scrolling session. 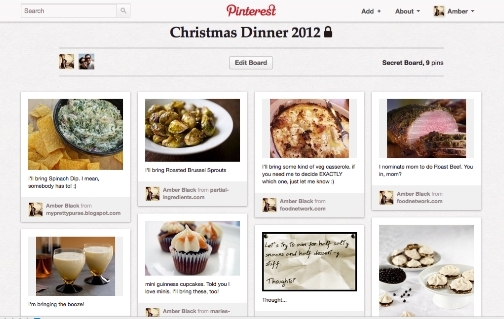 Pinterest is rolling out looooong-overdue feature: SECRET BOARDS! Since my very first day on Pinterest, I’ve bemoaned the lack of non-public boards. I mean, Pinterest is the perfect place to collect gift ideas, party ideas, travel ideas… unless making them public will spoil a surprise! But they’ve (finally) created private boards (which they’re calling “secret boards”), and I’m ecstatic. In celebration, here’s an idea for using them to coordinate jazz for your next group gathering. This won’t work so well for the “everyone’s invited!” sort of soiree, but for a Family Dinner or Book Group Cocktail Party it could be perfect. I also think it’d be ideal for co-hosted events. Need to show the other peeps what your cake stand looks like or show your dudes what kind of tent you have for the camping trip? Snap a picture of it and post it to your Secret Board. Ta-da! Okay, obviously I haven’t used the Secret Boards this way, yet. They just popped up last week. But everything I’ve mentioned below I’ve done myself with Pinterest over the past few days, just to make sure I wasn’t feeding you hogwater. Because that’d be not very nice. And kinda nasty. For one, it’s fun. Seeing what friends are bringing and having a visual of it all makes planning less of a chore. Use it for parties, dinners, roadtrips, showers, whatever! Also, it’s spur-of-the-moment flexible. At any time, any member of the group can see a current visual of what’s being brought. If anyone needs to make a last-minute adjustment, they can look at the Secret Board and make sure they choose something that fits and isn’t already provided for. And using it this way alleviates some of the pressure on the point person who is always getting calls about if/what is already accounted for. Why Use a Secret Board? So you don’t make the uninvited envious, of course. Using a private board also alleviates the felt need prettify the photos. You can just use any snapshot without having to gussy it up too much, and can even use pics of written notes or sketches, or capture a screengrab without puzzling the whole Piniverse. Food, decorations, ideas for gift bags, party favors, invitations… anything and everything that it would benefit the group to have a visual of or know about is fair game. Invite the members of your group to add to the board. To do this, click the “edit” button on the board you just created. From the edit page you can add new people by name or by email. And don’t worry, if you forget someone, any other member can invite new members. By having a shared Secret Board, you’ll all know at a glance what’s covered, what’s not, and whether or not your jello fruit salad will mix with the other offerings. It won’t, of course. You’ll hate yourself for bringing jello salad. It’s 2012. Time for jello salad to go the way of mail-order fruitcake. You don’t have to find a photo online of what you’re bringing to pin it. Use the camera from the Pinterest app on your smartphone to take a photo (of the item, a recipe, whatever) and upload it directly, or scribble a note on a sheet of paper, photograph, and upload. Use the board to dialogue. If you “signed up” to bring pumpkin cheesecake and someone else says they’ll bring pumpkin cupcakes, use the comments to ask about whether you both want to bring pumpkin or if you should change it up a little. As you make spur of the moment decisions when you’re out and about (like when you just found your favorite merlot on sale), snap a pic and update the group. I think the Pinterest Secret Boards are a game changer for shared planning of all kinds. Of course, it’s all new territory, so please share your successes and setbacks as they come. I’d love to hear from you. Happy Partying! Writing about a timer feels incredibly weird. How could something so simple be worth a whole post? I’m still asking myself that. But the timer has become an invaluable tool for increasing progress on things that are important to me while decreasing life-time-spent on things that really don’t matter. So, yeah. Today it gets its own post. Get ready to be sold on using a timer. I hate housework. I like to cook, and I like organizing, but I don’t consider those housework. The never ending carousel of dishes? Housework. Toilets? Housework. Floors? Housework. As with lots of things I don’t like to do, I frequently “postpone” household tasks. This is a bad strategy. Things tend to pile up quickly and soon I’m totally drowning. Timer to the rescue! I’ve found that if I “limit” the amount of time I intend to spend on a task, I don’t mind getting started. I might not be willing to tackle an impossibly messy room, but setting a timer for ten minutes and doing as much as I can during that time and then getting to walk away? I can totally do that. And if I do it every hour or two, I’ll have worked on it for almost an hour in a single day. It’s like magic. The timer also helps me get started on large projects. Planning for Christmas Eve and Christmas Day can feel like a huge task, but if I set the timer for 30 minutes and just write down everything that comes into my head, a half-hour later I’m well on my way to ironing out a reliable plan. I use a timer all throughout the work day. If I need to really move on a task or project, I’ll set the timer and force myself to not do anything else until it goes off. If I need to take a break, I’ll set the timer for 15 minutes or so and make myself get back to work when it goes off. If I have some work I need to do on the internet – like researching or trolling for tutorials – I’ll set a timer for about 8 minutes at a time to make sure I’m staying on track. It shouldn’t surprise you that its beep has found me perusing pinterest instead of finding the article I meant to send the Dude about neuroplasticity. 5-10 minutes of break (also timed) in which I refill my water glass and busy about with a needed item of house work. Within those elements, I also set a timer when doing anything that is likely to distract me. By the end of the day I’ve accomplished desk work and house work, and avoided getting googly-eyed by looking at the computer for too long at a single stretch. And I love feeling like I’ve been productive instead of being carried along by a random current like my thoughts or the internet. On a day when I have too much to do, I use the timer to make sure I’m not spending a disproportionate amount of time on any one task. I’ll assign time-estimates to the tasks on my list and limit myself to working on that task for the given amount of time. It forces me to move quickly, and if there is something I need to get back to, I can usually squeeze it in later in the day. This works much better for me than reaching 2pm and having only made progress on a single item. I also use the timer to make sure I shut down at a reasonable time each evening. When I get to what ought to be the last task of the day, I set the timer and when it goes off, so does the computer. Sometimes I need something external to cue me to walk away. Don’t freak out; I don’t use the timer to restrict true play. I firmly believe in letting time with those dearest to us stroll on without interruption. What I’m referring to here is mindless fake-play, like bumbling around on social media or watching an endless stream of You Tube videos. Basically, anything that isn’t somewhat efficiently making progress on an already-defined task gets lumped into the category of fake-play. Fake-play is something that either doesn’t really need to be done at all, or it doesn’t need to be done right this second. And I usually have enough to do that I should limit fake-play. So whenever I let myself “play” in this way, be it reading a magazine, blog-hopping, or browsing movie trailers, I set the timer. When it goes off, I’m reminded to get back to what I intended to be doing. My parents were ferocious users of the timer when I was growing up and I have amped that up significantly in my adult life. I use the timer to let kids know when it’s bedtime (“Hey, I’m going to set the timer for ten minutes… we’ll pay until it goes off, and then it’s time for bed”). I use the timer to postpone my involvement when I need to get something done (“I need to work for about 30 more minutes, but I’ll set the timer and when it goes off we’ll read together again, okay?”). And, of course, I use the timer for dismissing time out. All in all, the timer helps me do more of what really matters to me, and do less of what doesn’t bring much value to my life. I use this timer on my mac desktop, I use this repeat interval timer on my iphone for extended focus, and I have a timer with multiple settings like this one in my kitchen. I also usually have a few basic ones floating around to make sure I’ve always got one at the ready. I like the kind that will keep buzzing until you tend to them. You’ll certainly find what suits you best as you foray farther into timer-ville. Let me know how the journey treats you! Do you use a timer? How does it help you? What is sketching? I’ll explain how to do it in a sec, but sketching is a tool I use to streamline all sorts of written and verbal communications (and other stuff, too). Today I’m going to show you how to use it to make quick work of Thank You notes. If you’re like me, you might write more thank you notes if it didn’t seem so overwhelming. I have no idea why writing a simple note can feel like pulling weeds on the hottest day of summer. But sometimes it does. So rather than spend unnecessary time analyzing this, I’m working on just getting past it. Do you switch out your closet between seasons? Do you intend to but never get around to it or find it an enormous drag? If so, hopefully today’s post will help you out. Switching out clothing for the seasons where I live is a joke. We have only two seasons: hot, and hell. And I basically wear the same things in both. So the swap is formality, not necessity. But it lets me see what I own and allows me to get rid of things in a timely fashion. Which helps me spend less money on clothes, and (hypothetically) helps me dress better. I said, hypothetically, okay? But as Fall is officially here, I swapped out my closet this week and thought I’d share my process for anyone looking to develop their own. I’m sharing my script with you and including some ideas for getting rid of stuff and maximizing what you have in the process. It’s like killing three stones with one bird! Scheduling time for the switch-out will help ensure you do it when you want to. I have a recurring task in my To-Do List. You could make a note on your calendar. Just put a reminder somewhere you’ll see it when the time rolls around. 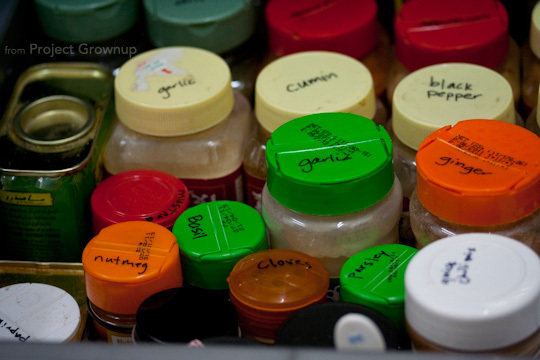 Does finding a particular spice in your spice cabinet feel like trying to find a lone daisy in a cornfield? If so, today’s tip is for you. I long wrestled an unruly spice cabinet, usually something eye-level and near the stove, regularly losing my real-life game of Where’s Waldo and bowling down bottles in the process. Then came a day when a cabinet near the stove was no longer an option. And, surprise surprise, a simpler option presented itself. I’m pretty sure the idea occurred to me because somewhere in the distant past (before Pinterest… gasp!) I saw this somewhere online. But as I regularly as my milk-allergy-ridden friend of 10+ years if she’d like some ice cream, you can bet I don’t remember if or where I might have seen it. So I’m just showing you pics of my own spices, sharing how to do it, and telling you why I love the new way so much better. Your bin or basket be as simple or dramatic as you’d like. Are you addicted to your label maker? Perfect. Own a Sharpie? Also perfect. Now stay with me ’cause here’s the complicated part: Write the names of the spices (or some abbreviation that you’ll recognize) on the top of the lid; and find a basket or drawer of suitable size for your spices. Then, put spices in drawer or bin. Okay, I lied. Not complicated. But now, rather than having to shuffle the bottles around every time you need one, you can slide out your bin or drawer, get what you need, and slide it back. My bin is currently on a low shelf, but in the past it has been in cabinets both high and low depending on what space I had available. Another thing I don’t miss? Coming home from the grocery store with a second bottle of ground cloves because I couldn’t see that I already had one. 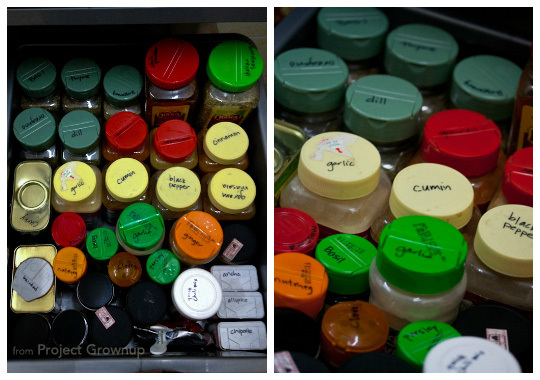 Is your spice cabinet a bliss or a beast? Any spice-storing methods you personally love?